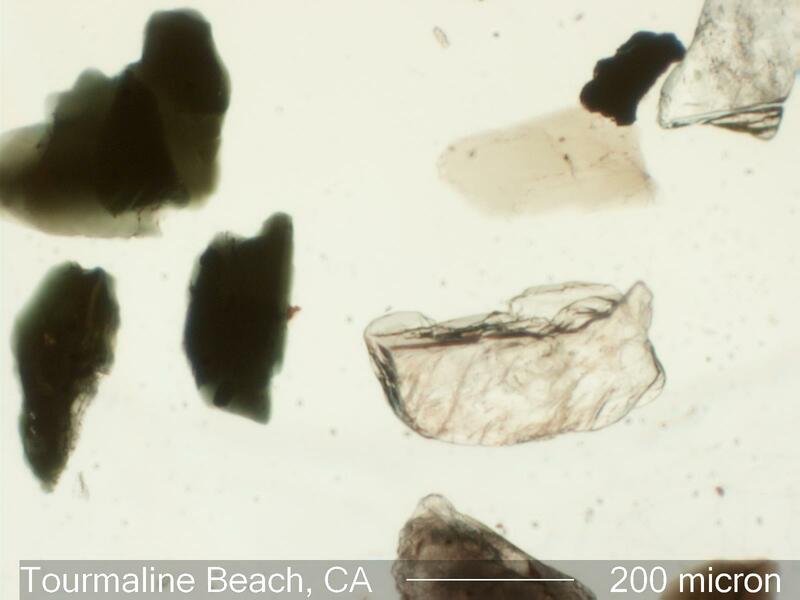 There are three tourmaline grains in this image. The two at the lower left are quite dark in this image because the direction of the linear polarizing filter is perpedicular to the length of the grains, parallel to the omega direction. The other tourmaline grain is in the upper center and is clear because the direction of polarization in the filter is at right angles to omega and parallel to the long direction in the grain.